Turn your empty car lot into a bustling hub of activity with customers who want to buy your vehicles. WKA Marketing , specializing in providing comprehensive SEO & VSEO, eMotion Video & Craigslist Used Inventory Marketing Services for Auto dealerships. Increase your visibility with our highly effective web services. 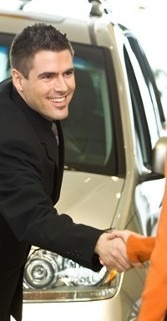 Most people do not spend time visiting various car dealerships in their city. Not only does it waste gas, it burns up their time as well. Capture their attention in the comfort of their own home by putting your website and your cars at the top of the Internet search lists. Contact us for automotive marketing services when you want real results that boost your business success. We have a technological advantage over our competitors because we use innovative and effective marketing techniques. Our company operates as your dealer's Internet marketing department. Since we are sales people as well, we provide you with the technology that helps you sell vehicles from your automotive inventory.